How Is SleepTight Mouthpiece Different? Does SleepTight Mouthpiece Stop Snoring? 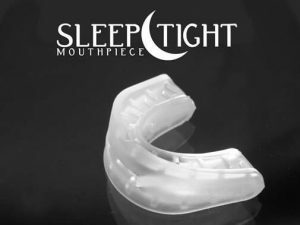 Does SleepTight Mouthpiece Have Any Side Effects? Who Should Buy SleepTight Mouthpiece? The effectiveness of SleepTight Mouthpiece as an oral snoring aid has been proven in clinical trials. However, the device is not suitable for nasal snorers, snorers with full dentures, individuals who have loose or weak teeth, individuals with sensitive gums, snorers who suffer from TMD, and individuals under the age of 18. Common side effects include excess salivation, jaw soreness, and slight bite changes. If used in treating mild to moderate sleep apnea, prior consultation with a medical professional is required. The world of snoring is as aggravating as it is consistent. No matter how you come by way of your snoring, the very fact that it persists in keeping you up at night can be enough to absolutely drive you mad. Snoring isn’t a problem that you want to live with indefinitely, so that means you are likely looking for some sort of anti-snoring solution. Today, we will talk about an anti snoring mouthpiece known as SleepTight. As the name implies, SleepTight is an anti-snoring mouthpiece that seeks to help you alleviate your snoring symptoms while bringing back a comfortable night of rest. Keep reading our SleepTight review in order to see if this is the mouthpiece for you. SleepTight was designed and developed by a dentist from the United States, Dr. Mike Williams. Dr. Williams has been a member of the American Academy of Sleep Medicine for years and he has also worked in the United Kingdom as a mouth guard development and researcher expert. This decorated background shows that Dr. Williams didn’t simply luck into his SleepTight design. Instead, SleepTight was a product that was developed out of need, based on science and experience. Dr. Williams personally suffered from snoring and went to great lengths in order to address the issue on his own. After multiple surgeries and experiments testing a wide variety of different products, he knew that he had to create something of his own, so he began working on SleepTight. After years of work, he managed to craft what many have claimed to be the most effective mouthpiece on the anti-snoring marketplace. So, with that introduction out of the way – what is SleepTight? 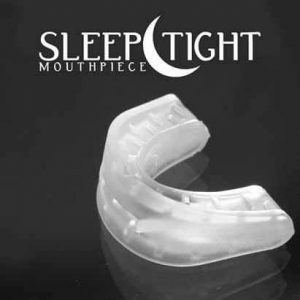 Well, SleepTight fits into the category of mandibular advancement devices (MADs). Mandibular advancement devices are products that you wear in your mouth while you sleep. The goal of a mandibular device is to simply adjust the positioning of your jaw in order to alleviate some of the pressure that is linked directly with snoring. Mandibular advancement devices are well-regarded by people who struggle with snoring because these products directly address where snoring occurs: in your throat. While snoring may not seem like an actual issue to most people, the truth is quite the opposite. Snoring can be a huge problem in your life and for many different reasons. Let’s briefly look at what SleepTight can protect you against by detailing what snoring actually does to a person. Snoring can cause chronic fatigue throughout the day. Snoring can aggravate your significant other and cause personal tension within your relationship. Snoring can lead to low self-esteem and impact your mood considerably. Snoring can also be symptomatic of a greater health issue, such as sleep apnea. There is going to be a lot to learn about SleepTight and mandibular advancement devices, so let’s move on with our SleepTight review and focus on how this little device actually works. As we already discussed, SleepTight is what is known as a mandibular advancement device. This is a big phrase for a relatively simple line of products. Let’s take a moment to really lay out how this kind of product works so that we can more fundamentally educate you on how SleepTight impacts your throat in order to improve your snoring issues. Mandibular Advancement Device – A mandibular advancement device is an oral anti-snoring mouthpiece that you wear in your mouth at night, while you sleep. These special devices help to prop up your jaw and jut it forward in order to help re-align the muscles in your neck. By doing this, products like SleepTight alleviate the pressure in your throat that is linked directly to snoring. When you go to sleep at night, the muscles in your body all begin to relax. As the muscles in your body relax, your tongue also begins to relax. When your tongue relaxes, it starts to fall backward, impacting and potentially obstructing the airway coming up from your throat. When your airway tightens, you begin to struggle to breathe. This restricted airway features dense tissue compacting and vibrating in response to each one of your breaths. That vibration creates the sound that we are all way too familiar with: snoring. With SleepTight, your jaw is held in a position where your airway will not be impacted or obstructed. When your throat is kept relatively clean and clear, you are able to push away the different steps that lead to snoring. Mandibular advancement devices like SleepTight are known for being immediately effective, but that doesn’t mean that they are perfect products. We’ll talk more about the problems that SleepTight may cause later on in our SleepTight Mouthpiece review, but for now, let’s focus on what makes SleepTight unique in comparison to other products on the marketplace. 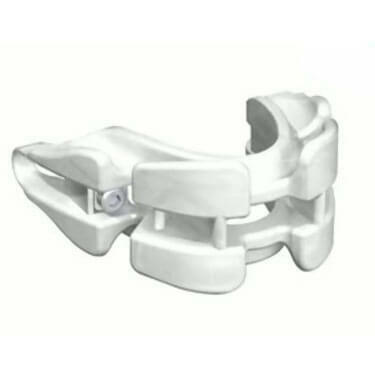 The mandibular advancement device marketplace is booming with products. You could spend an entire afternoon researching different MADs and you likely would not get near the end of learning everything there is to know. With that being said, all MADs are not made the same and they certainly don’t all function in the same capacity. Dr. Williams spent years developing SleepTight into one of the most prominent anti-snoring mouthpieces in the world. Along the way, Dr. Williams implemented a few unique twists and turns to the traditional anti-snoring mouthpiece. Let’s go ahead and talk about these unique features. Dual Laminate Design – The first feature that we feel compelled to highlight is the dual laminate design. This is a unique feature not seen before in anti-snoring mouthpieces. So, what is this dual laminate design? Well, the design describes how SleepTight is manufactured with special, flexible plastic in order to help give you an accurate ‘bite’ during the boil-and-bite fitting routine. 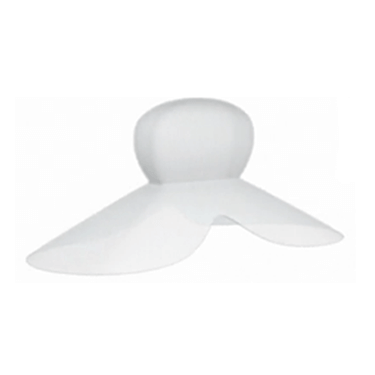 With the dual laminate design, you are getting the most perfectly fitted anti-snoring mouthpiece for the job. Scientific Approach To Snoring – We will always vouch for products that are backed by industry professionals over similar ‘as seen on TV’ competitors. Dr. Mike Williams spent years of his professional career studying sleep science in America and the United Kingdom in order to find the right product for treating snoring. The fact that Dr. Williams also struggled with snoring only adds to our impression that this is an effective tool for treating snoring and mild sleep apnea. Extreme Refitting Flexibility – With most anti-snoring mouthpieces, you are going to have to go through a boil-and-bite fitting routine in order to match the product to your mouth. Unfortunately, these fitting routines can be fairly inaccurate. SleepTight is built with special, long-lasting material and it has been carefully crafted to retain serious integrity. As a result, SleepTight can be customized over four or five different times. What does this mean? Traditionally, most anti-snoring mouthpieces only allow you to re-boil the product two or three times because anything after that will start to impact the integrity of the product. While mandibular advancement devices are not completely unique in the anti-snoring world, products like SleepTight are looking to shift the paradigm toward more science-backed anti-snoring solutions. Let’s move on with our SleepTight review in order to detail the custom fitting process, how Dr. Williams used science to impact the process, and why SleepTight is more effective than many competitive alternatives. When you wear an anti-snoring product like SleepTight, a customized fit is absolutely necessary. If your fit isn’t perfect, you run the risk of having a product that simply doesn’t work and can actually negatively impact your sleeping experience. That doesn’t sound great, so let’s walk you through the custom fitting process. Fill your kettle with water and raise it to a gently rolling boil. As the water comes to a boil, take a moment to rinse off your mouthpiece in warm water while also brushing your teeth and cleaning your mouth. You want your first bite to be clean. With the water at a boil, remove the kettle from the heat source. After about sixty seconds, submerge your SleepTight in the hot water. Now, let your SleepTight sit in the hot water for about three minutes. During this period of time, SleepTight will begin to soften and loosen up so that your bite will be easy to implant. After the three minutes are up, remove SleepTight from the hot water and put it into your mouth. Make sure to carefully align SleepTight with your upper and lower teeth, paying attention to the two trays. Once your mouth is properly aligned, press down and hold a firm bite until you physically feel SleepTight returning to your body temperature. Do not move your jaw, do not wiggle your tongue around. Now, remove the device from your mouth and put it in the cold water in order to allow the product to harden. After hardening, take it out of the water and let it air-dry. Customized fitting mouthpieces can be the difference between a product that does its job and one that simply doesn’t work. As we highlighted earlier in our SleepTight Mouthpiece review, SleepTight was developed using a special dual laminate design. This dual laminate design and the special materials that SleepTight is made of allow you the flexibility to re-fit the product multiple times in order to perfect your fitting. After you’ve customized your fitting and allowed the product to cool, test SleepTight in your mouth to make sure that it is still accurate and comfortable. You want to know that SleepTight fits perfectly. If it doesn’t, go ahead and run through the entire fitting process again. Don’t stop until you are certain that SleepTight fits correctly. With a proper fitting, you will be able to minimize side-effects (jaw soreness) while maximizing effectiveness. Our last point in the fitting process is more related to hygiene than anything else. As with any other oral device, you are going to want to practice hygienic maintenance with your SleepTight. Make sure to regularly wash, clean, and dry your SleepTight mouthpiece. By following a regular maintenance program, you will be able to extend the life of the product while also improving your own health and safety standards. When it comes to shopping for an anti-snoring solution, the only aspect of the product that you should care about is this: does it stop your snoring? There are more anti-snoring products on the Internet than you would have time to read in a month. From chinstraps and pillows to mouthpieces and tongue stabilizers, there seems to be an anti-snoring product for everyone. Unfortunately, many of these anti-snoring products are not effective in treating snoring. Does SleepTight break the mold or add to the list of products that don’t do anything for snoring? The Art Of Snoring – Let’s first discuss how snoring impacts your throat so that we can appreciate why a mouthpiece would work to address the problem. Snoring is a physical reaction to the components inside of your throat interacting with one another. Obstructed airways, tissue in your throat, and the thrumming vibration that they cause contribute to snoring. When you address any of these physical manifestations, you can take control of your snoring issues. This is where a mouthpiece comes into the equation. With an anti-snoring mouthpiece, you attack the problem at its source. Mandibular advancement devices work to adjust the physical placement of your jaw in small, micro-adjustments. When we are talking about mandibular adjustment products moving your jaw, we are talking about fractions of a millimeter. Still, even these minor adjustments can work to directly address your snoring problems. During our SleepTight review, we have repeatedly stressed the effectiveness of the product and now we can make it official that the product does stop snoring. With that being said, SleepTight isn’t a perfect product (few are) and there are some real limitations surrounding the device which we will get into at a later point in our SleepTight Mouthpiece review. When you wade into the waters of sleep disorders, you are going to come upon some issues that are more serious than others. One of the most common, yet problematic sleep disorders around is known as sleep apnea. Sleep apnea is a chronic sleeping-related problem that impacts your health directly and can even lead to some pretty dire consequences. Obstructive sleep apnea isn’t snoring, but snoring is a symptom of sleep apnea. People who struggle with sleep apnea understand how scary the sleep disorder is. Essentially, for those that do not know, sleep apnea is when your airway becomes obstructed during your sleep by your own tongue. How is this different from snoring? Well, when you snore, your airway is only partially obstructed. Partial obstructions are annoying and problematic, as snoring no doubt indicates, but they are not extremely health-challenging. With sleep apnea, however, there is potential for your airway to become completely obstructed. When your airway is completely obstructed, you end up actually not breathing at periods of time during the night. People with severe sleep apnea are almost always directed by their healthcare professionals toward products like the CPAP machine. CPAP machines sit on your bed or bedside table and power a breathing device that you wear in your sleep. This is for severe cases only. What about mild cases? Well, for people who struggle with minor obstructive sleep apnea, products like SleepTight can be a huge relief. SleepTight can help to target one of the most problematic elements of sleep apnea by helping to keep your tongue away from the back of your throat. 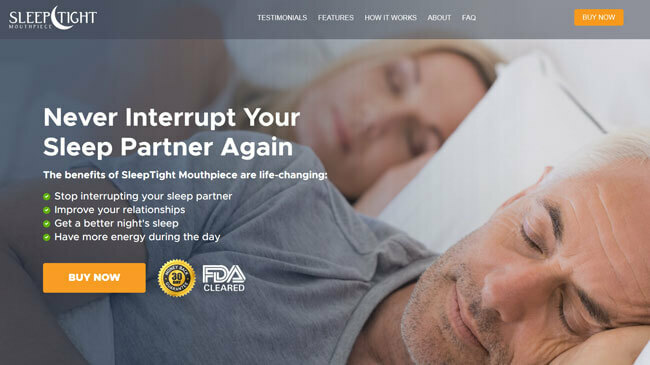 By addressing your jaw placement, SleepTight helps to set you up for a full night’s rest while directly impacting the level that your sleep apnea will affect you. As we alluded to several times throughout our SleepTight review, your focus should be on finding solutions to your snoring and sleep apnea that are appropriate to your situation. If you have minor or mild sleep apnea, then you can easily use SleepTight in order to address your problem. If your sleep apnea borders on moderate to severe, go ahead and consult with a healthcare professional in order to find out if SleepTight is the right solution for you. Your health and safety should be at the forefront of your shopping. Mandibular advancement devices are unique products in that they are worn throughout the night and can directly impact how your jaw actually rests. With that being said, mandibular advancement devices are known to be slightly symptomatic of a variety of different side effects. These side effects typically only impact a small portion of people and are largely easy to ignore. Still, you should be aware of all potential side effects so that you know what you are getting into. Jaw Soreness – Mandibular advancement devices are effective, but their most common side effect is related to jaw soreness. Jaw soreness typically manifests for people new to MADs and generally abates with prolonged use. Bite Adjustment – After prolonged usage of products like SleepTight, you may notice that your bite slightly changes. Excess Salivation – One of the more common but minor side effects that people will experience while wearing a mandibular advancement device is excess salivation. When wearing the product, you might begin to notice a little bit of drool on your pillow or the side of your face when you wake up in the morning. This, too, typically abates with prolonged use. While side effects are never enjoyable, the ones that manifest during the usage of SleepTight are typically minor and almost always go away. If you are struggling with any of the aforementioned side effects in our SleepTight review, consider a wait-and-see approach. If the side effects don’t abate in a reasonable period of time, quit all usage of SleepTight and consult the manufacturer in order to discuss potential refunds. The easiest question you can ask yourself about SleepTight is this: should I get it if I have problems with snoring? The answer is, of course, a resounding YES. SleepTight is a unique product that can address snoring-related difficulties in your life on an almost instantaneous basis. SleepTight is ideal for people who struggle with chronic snoring, minor sleep apnea, and other snoring-related sleep disorders. Additionally, SleepTight even works if you have partial dentures on your front upper or lower jaws. However, there are people who should consider avoiding SleepTight as it may not be the ideal solution to their snoring problems. While SleepTight is an effective form of snoring-control, it isn’t perfect for everyone. Who should avoid using SleepTight? Well, if you have full dentures, loose or weak teeth or sensitive gums, you might not have as much luck with SleepTight for snoring. In these situations, you are going to want to use a TSD device instead, like aveoTSD. TSD devices work by targeting your tongue rather than your jaw and they typically do not impact your mouth as much. We can talk all day about our own personal opinion of SleepTight as an anti-snoring solution, but for the sake of clarity, we should probably include other opinions in our SleepTight review. We decided to look at what other customers were saying about their SleepTight usage in order to paint as broad of a picture as possible. Let’s look at what users think about SleepTight. Compliments – Right off the bat, many users admired SleepTight for being an easy-to-use anti-snoring device. Customers admired how easy it was to customize their fitting and they admired the fact that they could re-try over and over again to get a perfect bite. Other users enjoyed the scientific background of the device and they further enjoyed the fact that SleepTight worked almost instantly. The dual laminate design also scored high marks among customers who used the device. Complaints – While our SleepTight Mouthpiece review has largely been glowing, there are some people who don’t have as fond of a reaction to the product. A vocal minority of users were beholden to the side effects that we listed above and they certainly did not appreciate them. Other users weren’t fond of the fact that SleepTight requires relatively extensive preparation in order to customize the fitting as they were likely hoping for a ‘one size fits all’ style of product. Finally, some complaints made it clear that they felt the price was too high for the product that they were getting. When shopping for an oral anti-snoring device, it can be hard to find something that is both affordable and protected by a refund policy. With anti-snoring mouthpieces, a refund policy is a big deal because it allows you to try the product risk-free. Some companies don’t honor returns on oral devices, but that isn’t the case with SleepTight. With SleepTight, you are getting a 30-day free trial on your product purchase. For this 30-day period, you can try the product in order to see if it does the job for you. If you are not happy with your device, you can reach out to SleepTight’s manufacturers within 30 days of purchase for an RMA number and a return. You will only end up being charged $9.95 for shipping and processing fees. If you are looking to purchase your SleepTight product in full, you’ll find that the total price is $69.95 for a SleepTight mouthpiece and carrying case. You still get the 30-day free trial, so you can return the product if you end up unsatisfied with it. All told, SleepTight is actually very competitive in terms of price in relation to other premium anti-snoring mouthpieces. If you are still unsure if SleepTight is right for you, check out the key advantages and flaws of this snoring aid. 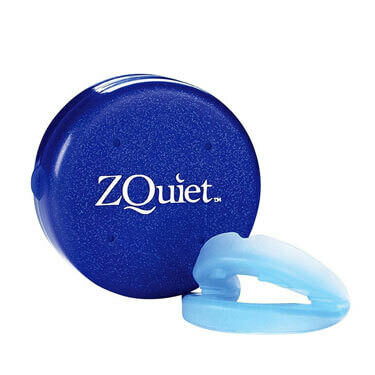 While there is no such thing as a perfect anti-snoring solution, we still have to tout this product as we have throughout the rest of our review. During our SleepTight Mouthpiece review, we showcased that SleepTight is effective at treating snoring, affordable despite its premium quality, and built based on a high-quality scientific theory. Basically, it works well and is solidly built to last. We advise anyone with chronic snoring issues to take a look at SleepTight as a solution to all of their snoring needs. Our ratings are the result of an objective and independent evaluation of SleepTight, generating the final rating that reflects the overall quality of the company. Ratings may change as the product introduces changes. SleepTight user rating based on 11 user reviews. Having been struggling with severe snoring literally for decades, I’ve tried pretty much every device out there. 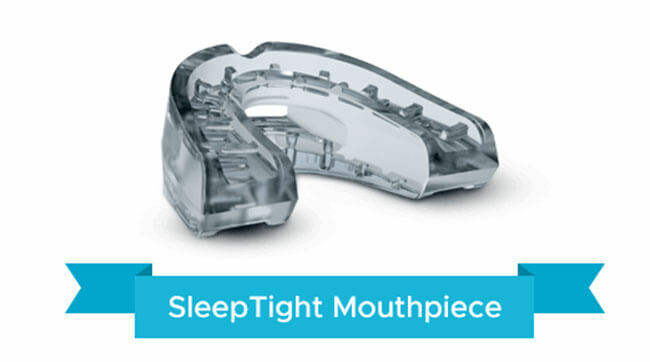 Right now Im using Sleep Tight mouthpiece device and I got to say Im pretty happy with it. It took some getting used to as it does with every new device, after all it’s in the mouth and it’s all so sensitive in there. But my snoring is definitely improving. We’ll see how it performes over time but for now Im confident I have found the solution for my snoring issues. My hubby got me this mouthpiece a week ago because my snoring was getting really intolerable. He had been sleeping on the living room sofa for almost a month and now he’s back in our bed so that has to count for something, right!? SleepTight is my favorite new device. I did the fitting part in no time, it was really easy and after a night or two I got so used to it now I forget it’s even there. Of course my mouth still looks a bit weird from the outside but that’s a small price to pay for a good night’s sleep. I also think that SleepTight is pretty reasonably priced and I love the fact that it is FDA-approved. It just puts my mind at ease. Excellent snoring device, SleepTight is the best! It changed by life for the better. Sleep Tight is definitely better than my old anti-snoring mouthpiece, which wore off and almost stopped being useful. This one fits nicely and it’s not as uncomfortable as new mouthpieces tend to be in the beginning. Fitting the mouthpiece was actually quite fun but it’s not fun wearing it all night long. Just can’t get used to the idea of having a full mouth while sleeping. My snoring isn’t as bad as it used to be but it’s not gone either. Also, I drool quite a lot now, so I feel like I replaced one problem with another. Don’t expect any miracles! It works to some extent but it’s not great. I don’t snore as loud as I used to before using the device but I still snore. Not sure what to think of it – I’ll give it more time. We found 1 verified SleepTight discount for April, 2019. Sign up and we’ll let you know about future SleepTight promo codes. In order to be sure that SleepTight truly is the best solution for your snoring troubles, you need to know what makes it superior or inferior to its alternatives. Discover how SleepTight compares to other popular snoring aids of its kind with our detailed feature and price comparisons and easily determine whether you are making the right choice.